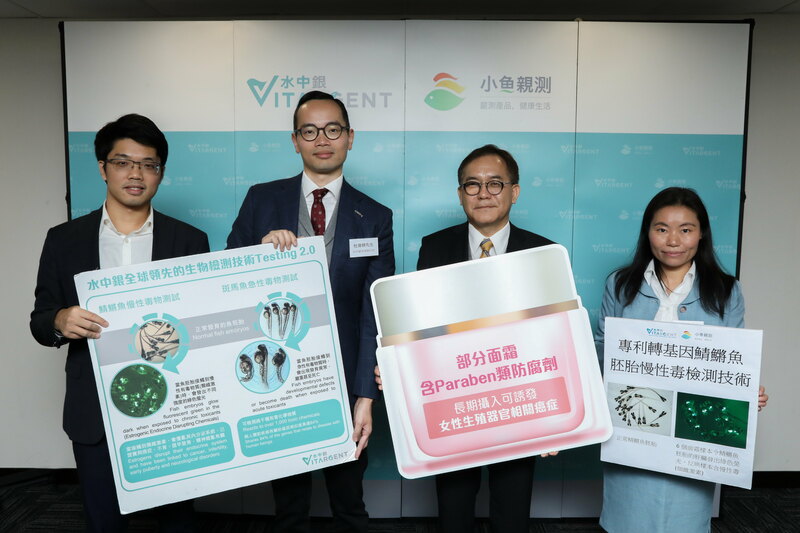 Vitargent’s Chief Executive Officer Jimmy Tao said, “Zebrafish embryo and transgenic medaka embryo were used in the acute toxicants and chronic toxicants tests of face cream samples. In the zebrafish embryo test for acute toxicants, 2 samples failed the toxicity test. Our team observed under the microscope that, when zebrafish embryos are exposed to acute toxicants in face cream samples, they developed abnormally and suffered from blood clotting disorders, heart swelling and even death. As 84% of genes known to be associated with human diseases have a zebrafish counterpart, substances which are harmful to zebrafish may also be harmful to human. The process of zebrafish puberty imitates that of human’s. One day of zebrafish puberty is equivalent to 12 weeks of infant puberty (3months). Their tissues and organs including heart, bones, glands and kidney functions and reacts biologically identical to humans. Thus any toxicant that harms a zebrafish would pose the same health threat to a human being.